Please complete the form below and your enquiry will be sent directly to October Bierfest via email. Your enquiry has been sent to October Bierfest. Do not miss out on our Biersfest at Seashack. Tickets cost R100 and include one Mug and entertainment! 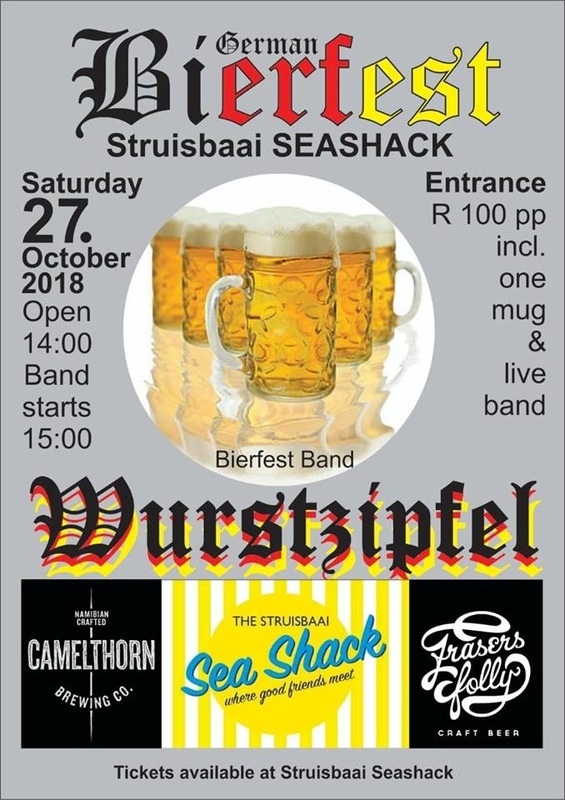 Tickets available at Struisbaai Seashack or give us a call!